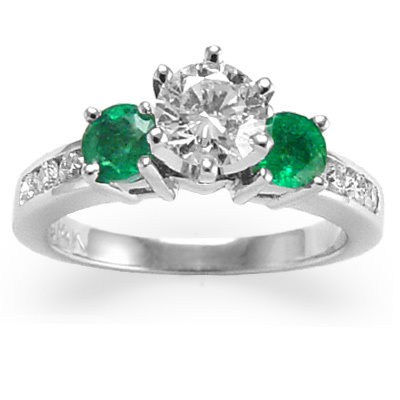 Anzor Jewelry - 14k White Gold Emerald Diamond Engagement Ring 0.60ct. 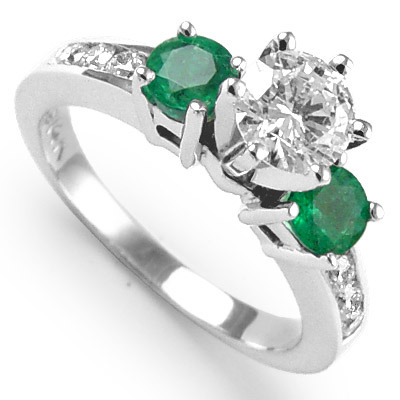 14k White Gold Emerald Diamond Engagement Ring 0.60ct. Celebrate past, present, and future with that special someone. 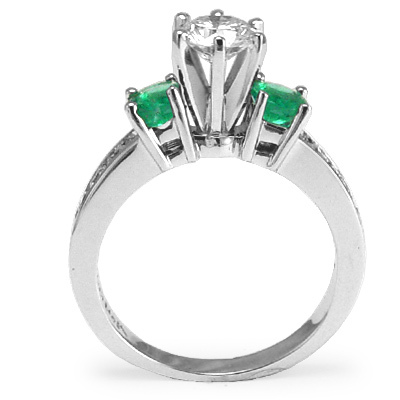 From engagement to anniversary, this extraordinary ring will look good forever. 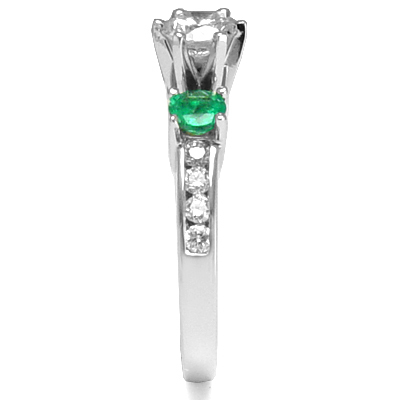 Stunning high quality genuine Emeralds border a central diamond and 8 Genuine diamonds along the sides that will leave her smiling. Available, White Gold, Yellow, Gold and Rose Gold No extra charge. This is a brand new item and is manufactured on our premises. 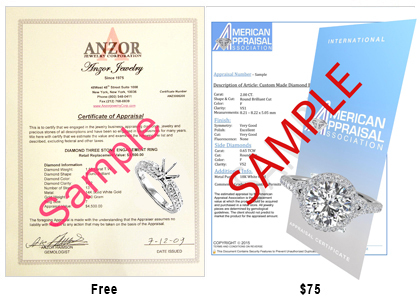 FREE shipping, Resizing, Engraving, and Jewelry. box! Sizes available: 4 to 9.1/2 in full, half & quarter sizes. Our Warranty: 5 (five) Years on Workmanship!